Hike into one of Bermuda's oldest geological areas that is teeming with life both above and below ground. Bermuda has a great concentration of underground caves and many of them can be found in Walsingham. Caves house an amazing variety of endemic marine species that are usually blind and colourless. The Walsingham area is made of Bermuda’s oldest limestone, over a million years in age. It is called karst because it is so riddled with caves, cracks, and channels, above and below sea level. The endemic Bermuda Olivewood tree, near the sinkhole, has been here since the Island was first discovered. Walsingham Pond has been called “the sponge metropolis of the world.” It is a habitat for, among other species, the upside-down jellyfish and two green turtles. 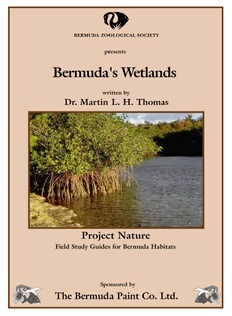 A neighbouring pond surrounded by red mangroves contains the endemic Bermuda killifish.